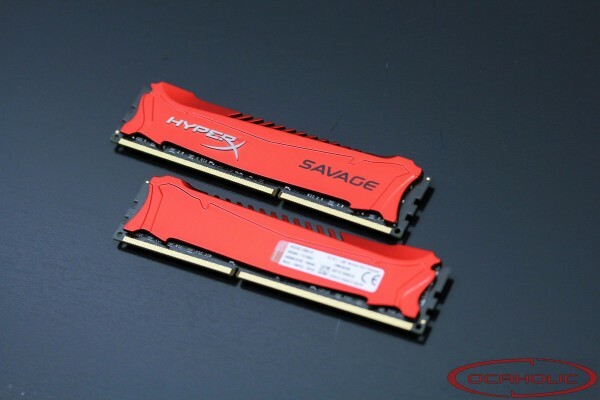 The Kingston HyperX Savage are the latest DDR3 memory modules from Kingston. The worlds largest independet memory maker wants to offer a new level of customization to system builders by adding differently colored heatspreaders to a fully black PCB. Apart from that the HyperX Savage series is targeting the mid range market and therefore you can get either 8 GB or 16 GB memory rated between 1333 MHz to 2400 MHz. In this review we're going to have a detailed look at the DDR3-2400 kit and check what these sticks can do. Taking a closer look at the specification reveal that this this 16 GB kit from Kingston runs at DDR3-2400 with CL11-13-14 timings, which shows that Kingston is targeting mid-range market with these modules.